I was on my way to Dolores Park ready to explore then suddenly my phone went dead. I still I had a little ways to go until my stop, so I decided to talk to a guy who introduced himself to me on the Muni . As he was telling me stories of how he traveled all over the world, I learned a few things from his experiences. Many people stray away from new things or places due to a fear of culture shock. The reason why Matt said his perception on life and the world is different because he wasn’t afraid of change. Every time he goes to a new place he immerses himself in that culture which allows him to pick up languages easily. He calls this characteristic “reverse culture shock.” Sometimes a feeling of stagnation may arise and you can’t be afraid to try something different or move somewhere new just because you are comfortable where you currently are. 3. Find that little person in your head. Trust your gut. You can learn something from anyone. “I have an instinct, I call it the little person in my head that tells me to talk to a person. On the plane, I sparked a conversation with the woman next to me not realizing that she was the Assistant Marketing Director for a Fortune 500 company. After the conversation, she liked me so much that she invited me sailing. The boat I was on was owned by the president of the San Francisco Chapter of the American Marketing Association. The woman was impressed by me throughout the entire weekend and told me to come in for an interview, and now I start Monday.” I was in shock because the way that technology is affecting the world, people rarely look up from their phone or tablet long enough to even say hello. Through one conversation, Matt was able to network with people who would ultimately give him a marketing position as he starts his new life in the city. 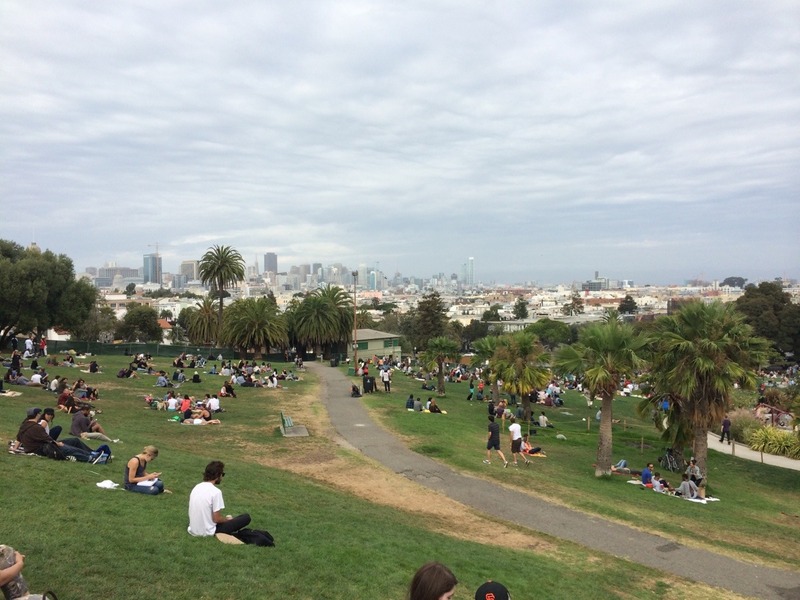 We get off the bus, arrive at Dolores Park, and go our separate ways. I might never see Matt again, but I do know one thing. Not only did I gain a Facebook friend, but also another perspective on life that I will remember for years to come.